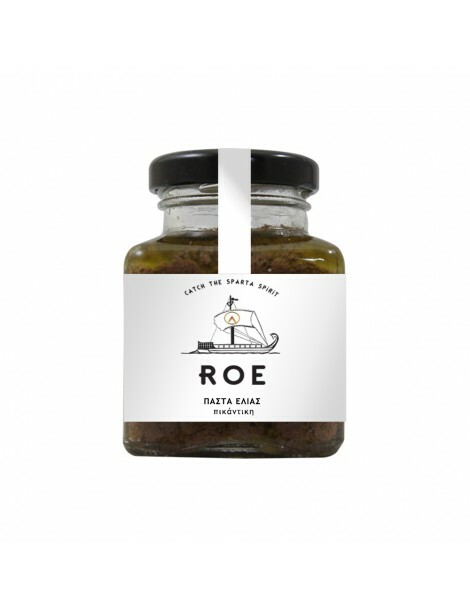 Spicy tapenade, we make exclusively by the Kalamata olives, combined with a certain ratio of, pepper..
Spicy tapenade, we make exclusively by the Kalamata olives, combined with a certain ratio of, pepper mixture, extra virgin olive oil, and vinegar. Is an aromatic flavor bouquet with light spicy aftertaste that will fascinate you. A balanced eating experience in packaging of 100gr.